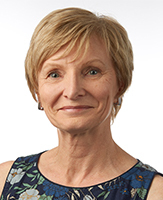 Professor Wakefield is Director of the Centre for Behavioural Research in Cancer at the Cancer Council Victoria, an NHMRC Principal Research Fellow, and an Honorary Professorial Fellow in the School of Psychological Sciences at the University of Melbourne. Her research has focused on cancer prevention, especially tobacco control, where her rigorous population-based and experimental studies have demonstrated the beneficial outcomes of mass media campaigns and tobacco control policies on population smoking behaviour. Her research methods have informed the design of behavioural research studies in skin cancer prevention, obesity prevention, alcohol harm reduction and bowel cancer screening. She provides advice and input on cancer prevention policies and mass media campaigns to governments at state, national and international levels. In 2019, Professor Wakefield was made an Officer of the Order of Australia (AO).